The Death Cure is the third and final chapter in the Maze Runner trilogy, which began in 2014 back when every YA property was getting its own movie. Four years later, teen lit isn’t the golden goose it once was and The Death Cure feels like a film out of time. All things considered, it could have gone much worse. At least Fox has given Wes Ball’s teen zombie trilogy the chance to go out with a bang on the big screen, instead of being unceremoniously dumped onto TV like the Divergent series. In a lot of ways The Death Cure looks the part of a climactic final chapter but it lacks any real gravitas. It feels more like a perfunctory imitation of scenes from better films, in other words it feels like a Maze Runner film. It’s been over three years since the second film, The Scorch Trials came out. The film was initially slated to be released in early 2017 but was pushed back when the film’s star Dylan O’Brien was injured during a stunt. If you haven’t seen the first two films in a while, you might want to hop over to Wikipedia, because T.S. Nowlin’s screenplay drops you right back into the thick of things. You better come to the theatre remembering all the names, because the script won’t help you. The film kicks things off with a train heist, where Thomas and his band of outlaws airlift a train car of captives off a WCKD train. For those of you who don’t remember, WCKD is the corporation that put groups of immune children in a deadly maze in an attempt to create a cure for a zombie virus started by a solar flare. The series is very silly. 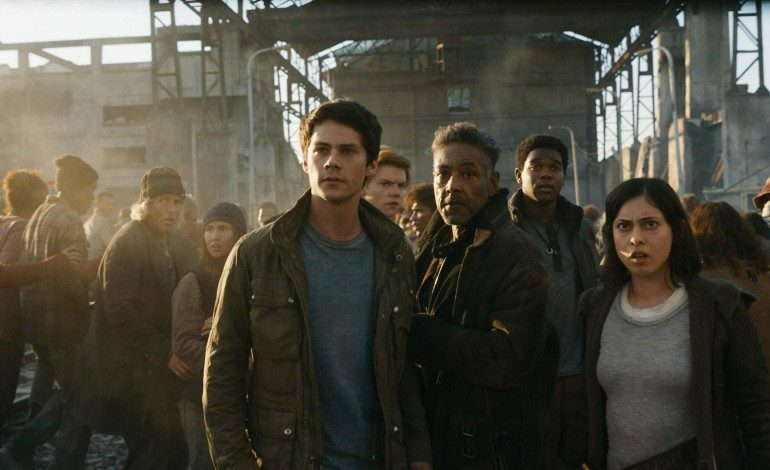 While the resistance fighters free a number of children, they miss the opportunity to save their friend Minho (Ki Hong Lee) and hatch a plan to break into WCKD’s headquarters and break him out. Minho is being psychologically tortured by Teresa (Kaya Scodelario) in hopes of creating a cure from his antibodies while coping with the guilt of betraying Thomas and the others. The rest of the film plays out like a classic rescue mission set against a backdrop of apocalyptic zombie revolution. Maybe it’s because the YA trend is over, or maybe because it is the nature of these series to get bigger and darker as they go, but it sure does feel like The Death Cure is doing its damnedest to shed its teenie roots and flourish into a full blown action franchise. The results are lukewarm. The Maze Runner was a paint-by-numbers young adult thriller and The Death Cure is an equally bland, if more ‘grown up’ action film. Wes Ball clearly wants his series to mature with its protagonists and with its fan base, but he fails to do anything to address the series’ underlying banality. Dylan O’Brien doesn’t exactly get the chance to shine as Thomas, who has grown from young, placebo YA protagonist to generic action hero. It would be easy to lay the performances shortcomings at O’Brien’s feet, but I’m not ready to do that just yet. The young actor continues to show glimmers of star power in both this series and the equally generic American Assassin, but he has yet to find himself a vehicle that allows him really dig into something of substance. The rest of the cast is wasted on a script that strips any meat out of the supporting roles. In particular, Rosa Salazar, who shined in the last film, feels cast aside here, and Thomas Brodie-Sangster, who was excellent in the recent Netflix show Godless, is given so little to do it feels criminal. The film’s adults aren’t served any better, which Patricia Clarkson and Giancarlo Esposito’s roles relegated to little more than cameos and Aidan Gillen and Barry Pepper totally wasted. The film injects a bit of new blood into the franchise with the addition of Walton Goggins, who plays the mysterious and heavily made up leader of the resistance, but he too is underwritten and underused. There simply isn’t a lot for anyone to do in The Death Cure, which drags on for an interminable 142 minutes until it reaches a sanitized conclusion that renders its title meaningless and drains all the tension out of what could have been a gut punch ending. The Death Cure isn’t exactly bad. It just isn’t good in any demonstrable way. It’s a cinematic shrug. The explosions are big and the gunfights are loud, but it doesn’t feel like there is anything driving the film forward other than franchise inertia and the desire for the series to be over. 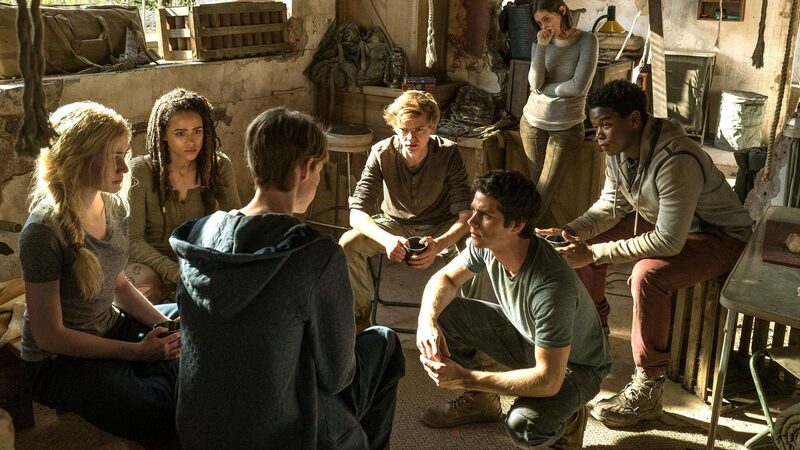 The Maze Runner franchise has always felt like the low rent version of a better series, and the way the story ends is as middling as the way it began. The Death Cure doesn’t stick the landing, but it doesn’t face plant either. It just ends. I don’t know if there was ever going to be much fanfare for this concluding chapter, but in its current form, it’s difficult to say whom the movie is for. Fans of the novel will likely be frustrated by some dramatic changes to the plot, and fans of the film series… well are there really fans of the film series who haven’t read the book? If you’ve just received your MoviePass card and you’re dying to give it a try, you could do better than The Death Cure, but if everything else is sold out, The Death Cure is undeniably a movie that you can see.